The working model – the final statue will be life size. 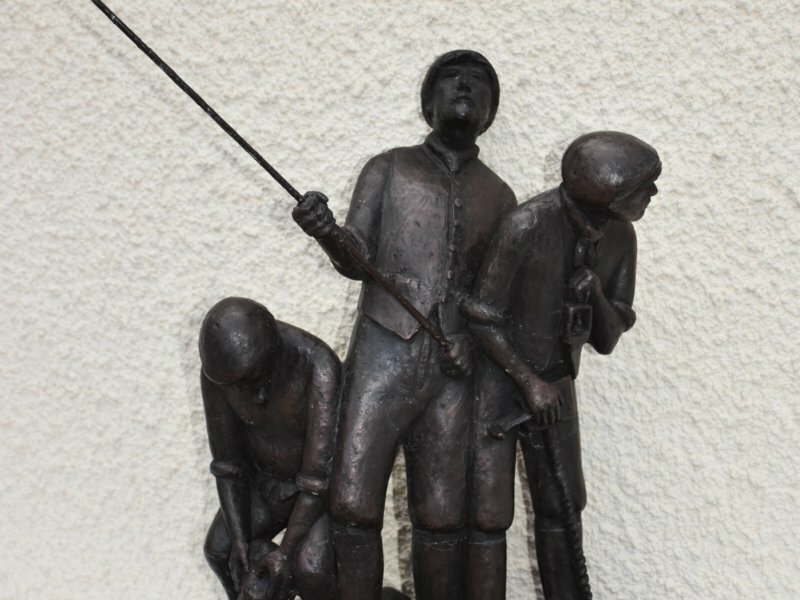 Community action groups in the Skelton area of east Cleveland have unveiled plans for a life size statue of ironstone miners to pay tribute to the mining heritage of the area. The model will be placed on a plinth alongside the A173 road that leads into the village from Guisborough. Members of the community instigated the project now led by The Friends of Skelton Community Orchard (FOSCO) whose treasurer and fundraiser is Joyce White. Other local activists and businesses quickly supported the scheme: “I was a little concerned at first as to how much it would cost and how we would raise the money as we are all volunteers,” explained Joyce. 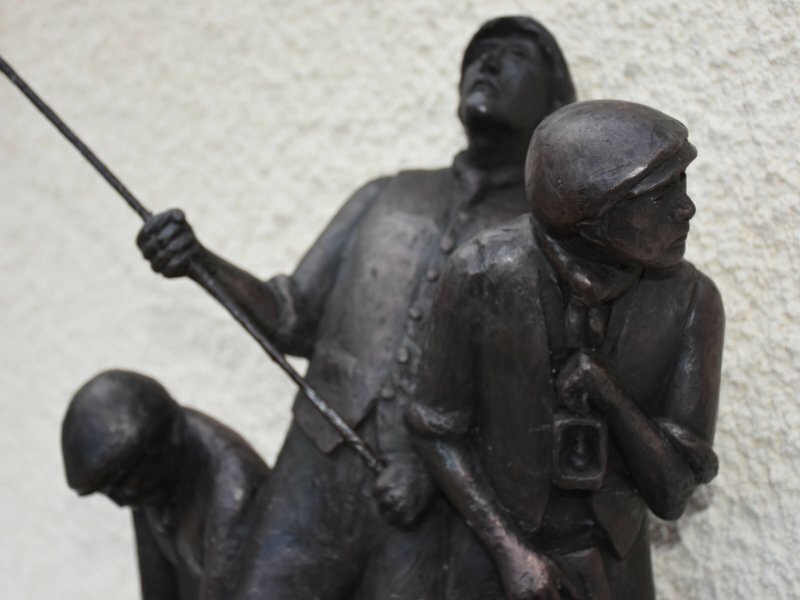 “But a contribution from Boulby mine started the ball rolling and we now have enough money to cover the costs of the statue being made and for the necessary planning permissions for the site,” she added. This is the latest scheme seeking to remind everyone of the industrial heritage of east Cleveland with FOSCO being joined and supported by Skelton Villages Civic Pride, the landowner, local councillors and businesses large and small. A vital source of support then came from the East Cleveland Villages Big Local action group. Representatives from eleven communities across the area meet to discuss ways to improve services and facilities, create opportunities and make the area an attractive and desirable place to live and work. Work is well underway on the statue to be entitled ‘Spirit of East Cleveland’ and is the creation of Skelton-based sculptor Bill Harling. Meanwhile, everybody is busy finalising the funding for an information board to explain to visitors the role ironstone mining played in the history of east Cleveland and Teesside. The work of art should be unveiled in Spring.